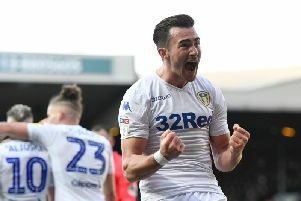 Leeds United celebrate Jack Harrison's goal at Elland Road. As the late, great Brian Moore once said, in the year before Marcelo Bielsa’s affair with coaching began, it’s up for grabs now. Leeds United are on the brink and even Steve Bruce, the most die-hard of Reds, is in danger of falling in love with the story Bielsa has written at Elland Road. All it needs is a final chapter, devoid of any crushing twist. “They’ve got an outstanding chance,” Bruce said. And so they have. He and Bielsa are as old as each other, give or take a few years; decent men and driven managers who have survived in an industry which craves innovation but never leaves them behind. Few in England are more qualified to talk about promotion from the Championship than Bruce, a veteran of four, and his 900th game in management on Saturday left him in no doubt about Leeds. 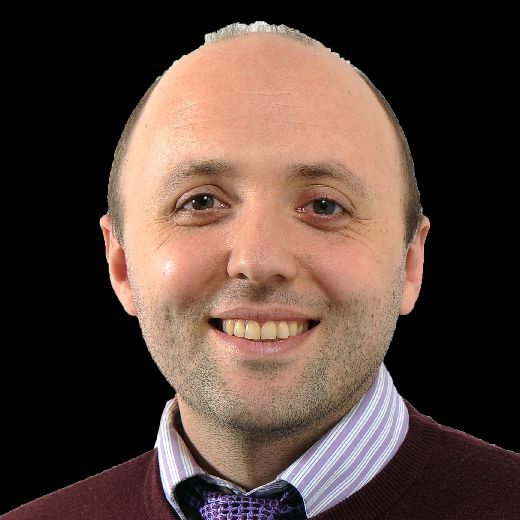 He was not talking about luck or slender margins, like the 95th-minute equaliser from Millwall which winded Sheffield United earlier in the afternoon, clearing the way for Leeds to inch three points ahead of Chris Wilder’s players, but the effectiveness of a plan which continues to work, nine months after Bielsa let the league see exactly how his team would play, exactly how his team would set up and exactly what his intentions were. Sheffield Wednesday were beaten 1-0 in a late kick-off at Elland Road on Saturday, the 20th team to concede first against Leeds and lose this season. Bielsa has consistently had plenty to say for himself, the master of long, intelligent press conferences, but his comments are dwindled to almost nothing now on the basis that results are the only language that matters. The die was cast by him in August in terms of a strict, immovable plan and his refusal to blow with the wind is so absolute that when Liam Cooper was lost to injury in the warm-up, bringing Gaetano Berardi into the line-up, Leif Davis took the space on the bench. Izzy Brown was nowhere to be seen; a player Bielsa has never really used and is not about to use at the crunch. The Argentinian will know how close he is; that after months of toil and restless work, all carried out thousands of miles away from his family and home, he is a matter weeks from doing what was asked of him and earning a level of reverence at Elland Road which, in managerial circles, is granted to Don Revie and Howard Wilkinson alone. In second place with four matches to play and a three-point lead over Sheffield United, he did not want to admit that Leeds were nearly there. It might feel more substantial to Wilder, who had one of those days on Saturday. Two of his players were lost to injury, including Billy Sharp, and John Egan was sent off before Millwall scored the sort of horrible, crucial injury-time equaliser which the Championship run-in prides itself on. It is, in several respects, advantage Leeds and Wilder’s evening was made no better by Bielsa’s players following up the nerve-shredding football at Bramall Lane by swarming over Sheffield Wednesday and forcing a victory after Keiren Westwood - a goalkeeper who has been thwarting Leeds since his days at Carlisle United and the League One play-offs in 2008 - went through the usual routine. His reflexes sent a point-blank Tyler Roberts’ header over the crossbar and gloved a finish from Jack Harrison past a post when it seemed to be finding the corner of his net. Roberts beat him with a shot from long range but dinked it just wide and Westwood was there again to beat the ball clear when Roberts smacked a shot at him from inside the box. Westwood’s contract at Hillsborough is up in the summer and he will not find employment hard to come by. “You're a good goalkeeper if you're better than him in the Championship,” Bruce said, telling Leeds what they already know. 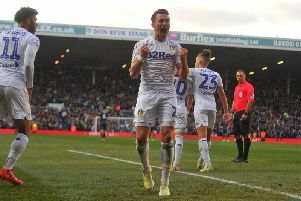 Wednesday worried Leeds in two isolated moments - Luke Ayling nicking the ball off Gary Hooper’s toes after the striker went one-on-one with Kiko Casilla and Barry Bannan drawing a one-handed save from the Spaniard - but it was all Bruce got before half-time and more than he got after it. Bannan played despite missing training all week and Leeds drove a train through Wednesday’s midfield, where pass completion rates dropped well below 70 per cent. Hooper and Steven Fletcher were left to feed on what barely resembled scraps up front. Cooper’s unforeseen absence made no difference, though it was unfortunate to think that a muscle strain might stop the club’s captain and a Championship team-of-the-year nominee from being in the thick of the games that are left. Bielsa went with a three-man defence, as he had without success at Birmingham City a week earlier, but Kalvin Phillips made the formation work with constant advances from the middle of the backline, the pivot in a side who attacked at will. In all there were 28 efforts on goal and, true to form, a single goal. Jack Harrison scored it in the 65th minute, as the onslaught became too great. Teams have succeeded in soaking up pressure from United before but not in the way that Wednesday did, with backs to the wall and offering nothing in return. Pablo Hernandez came up with possession on the right and whipped in a low cross which Harrison aimed cutely into the far corner. Beating Westwood required a finish with that precision. There was nothing in the way of a response from Wednesday and Bruce could see which way his landmark match was going. He had an expectation of hostility at Elland Road back in the day when he was Manchester United captain and he found that hostility intact. The traditionalist in him almost seemed happy about it. “The way the crowd are reminded me of what it was 20 years ago,” he said. The atmosphere was that of a club who dare not say it, dare not think it but feel in the way that football people do that this, at last, is their time. It is Michael Thomas in front of Bruce Grobbelaar with all eyes on him and the goal at his mercy: shoot and don’t miss.